Since 1982, Quality Overhead Door has provided exceptional service to Northwood and communities throughout northwest Ohio and southeast Michigan. We send licensed technicians to work in your home. These are our own employees, never contractors, to ensure that you get a consistently excellent customer experience. Our friendly service representatives provide expert guidance and work quickly to see your garage door at full operation. You’ll enjoy free estimates on the installation of doors and openers, and you’ll also receive warranties on parts and labor when our work is complete. This approach has helped us earn a number of honors, including the Angie’s List Super Service Award and an A+ rating from the Better Business Bureau. We are proud of the many repeat customers we serve in Northwood, Ohio, as well as other communities throughout the region. To discover the Quality Overhead Door advantage, contact us today. These products come from only the best manufacturers in the industry. We provide garage doors through trusted names like Clopay, CHI, Raynor and Wayne Dalton, as well as garage door openers from LiftMaster, Genie, Overhead, Sears, Chamberlain, Moor-o-Matic, Allister, Challenge and many others. While you may find cheaper options, you won’t find better performance that delivers long-term value every day. Not only do we provide garage doors and openers, but we also install fireplaces, awnings, entry doors and storm doors. These additional residential products feature the same quality and durability as the rest of our selection. We have proudly served Northwood and communities throughout northwest Ohio and southeast Michigan for more than 30 years. While we have grown significantly in this time, we remain a family owned and operated company that provides personalized care and desires long-term relationships. 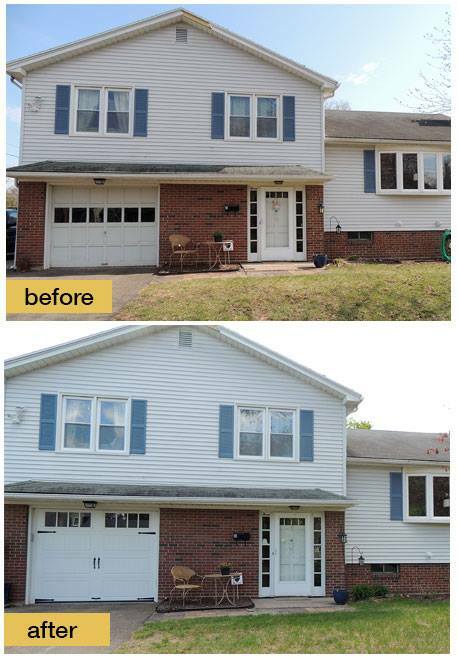 We are proud to be the provider for garage doors and other residential needs in and around Northwood. Contact us and discover the difference Quality Overhead Door can make in your home.